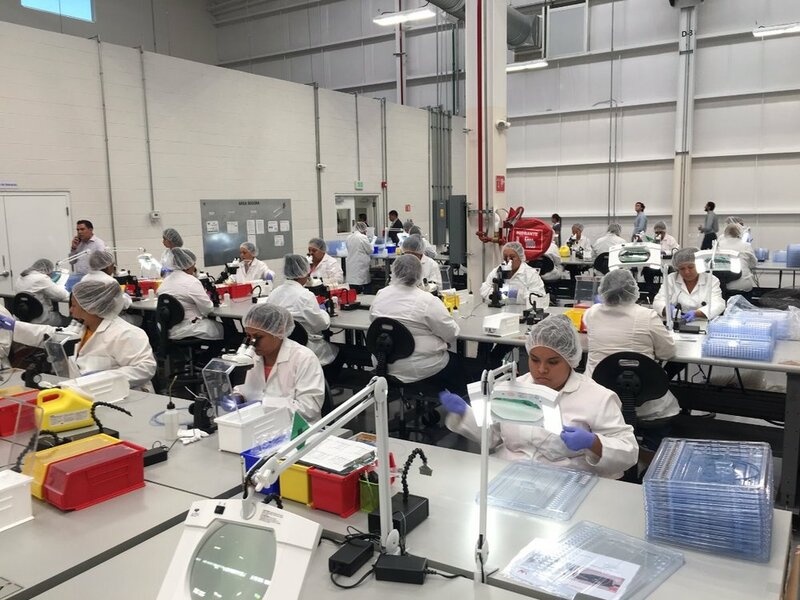 The newly formed Mexico Division of Weiss-Aug currently has capabilities in assembly and injection molding, with future capabilities in insert molding and metal stamping. Weiss-Aug Mexico offers manual assembly services in a clean environmentally controlled production floor. Horizontal Injection molding services for small to medium parts are offered as well. Weiss-Aug Mexico works closely with both Weiss-Aug East Hanover, Weiss-Aug Fairfield, and Weiss-Aug Affiliate companies on selecting programs for Mexico. Company Name: Weiss-Aug Mexico S. de RL. de C.V.
Parent Entity: Weiss-Aug Co. Inc.
Weiss-Aug Mexico S. de RL. de C.V.